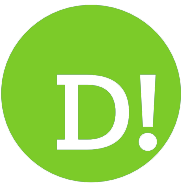 By Patrick James on 2018-06-09 - The author has been a motoring writer for more than 16 years. Formerly motoring editor at the Coventry Telegraph, he now produces motoring copy, on new car launches and road tests on a freelance basis. WHEN you are on to a winner, it doesn't seem sensible to rip it up and start again. 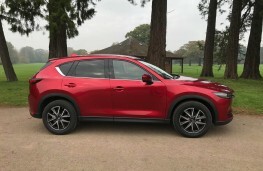 In the case of the CX-5, that not exactly what Mazda has done, but the mid-sized SUV/crossover has had a recent makeover inside and out but still retains a highly competitive price tag. 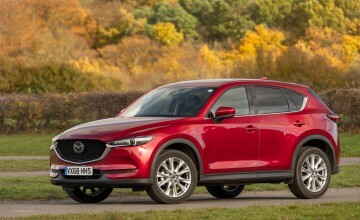 Mazda says it was been designed and built to celebrate driving, giving everyone on board a powerful feeling ofJinba Ittai, that feelingof oneness with the car forming an undeniable connection between car and driver. I haven't got a clue what that means, but there's no doubt this is a big improvement on what was already an excellent product. 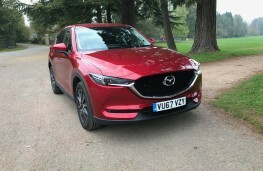 Still obviously a CX-5, it has a more chiselled look with slimmer headlights, bolder grille, new roofline and alloy wheels. 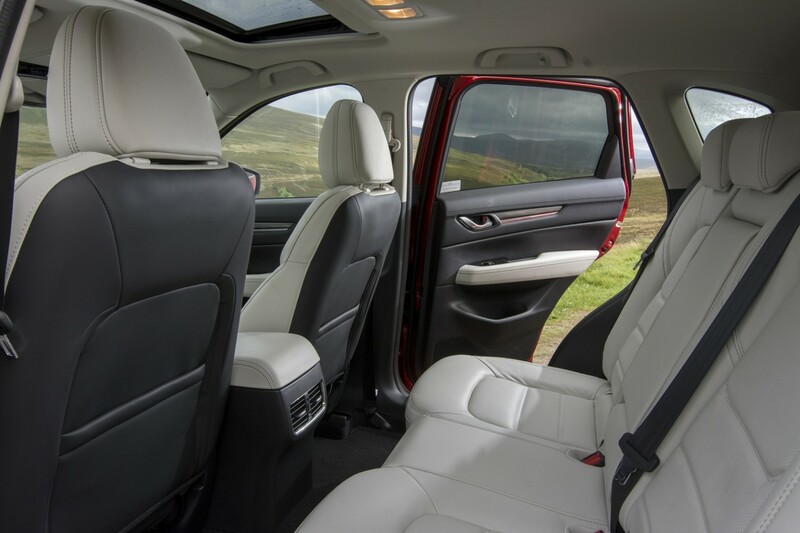 The interior mirrors the classy look, with an even higher quality fit and finish matching more expensive competitors in the executive class. 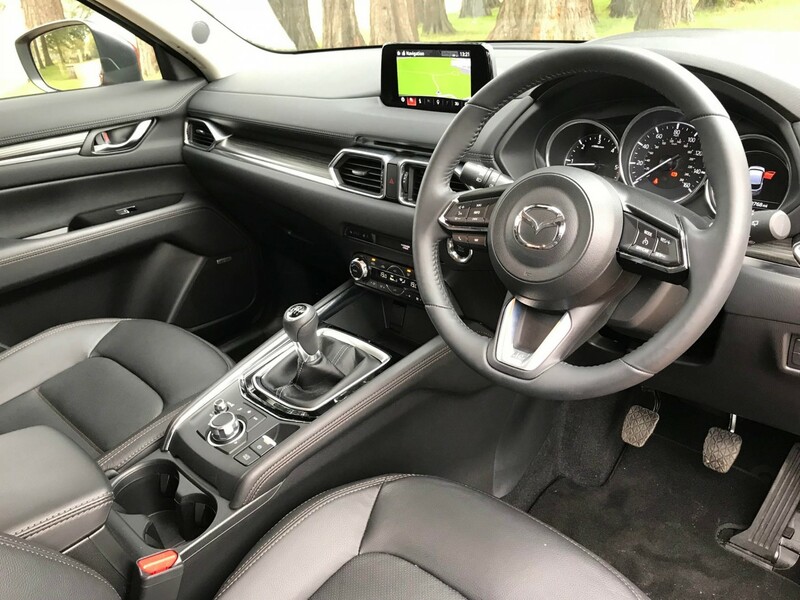 The dash is dominated by the seven-inch colour touch-screen which controls major functions including infotainment and connectivity via a rotary dial on the central console, while other controls are clear and legible and handily placed. Neat silver trim abounds on doors, steering wheel, rotary controls and dials. 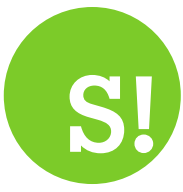 It has even more of the latest technology, including i-ACTIVSENSE safety features and internet connectivity through your smartphone, giving you access to internet radio, Facebook and Twitter. 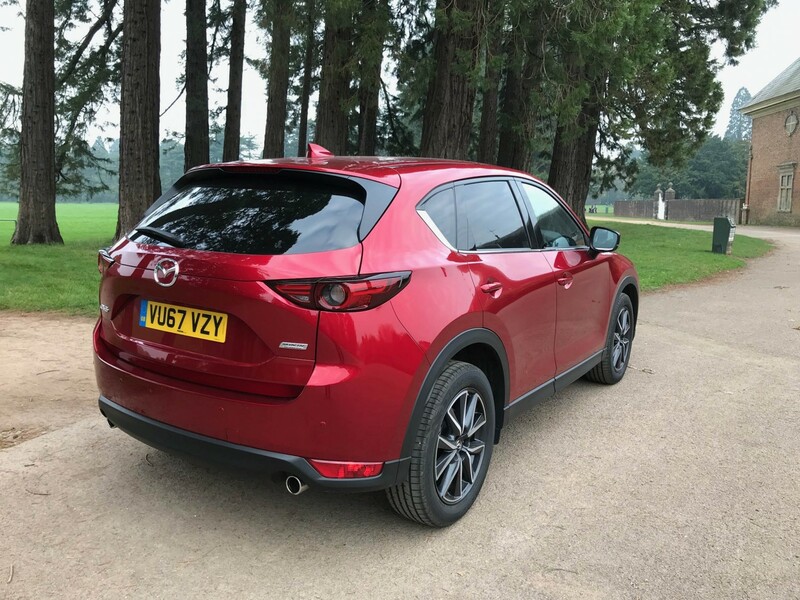 Available in two and four-wheel drive, it is economical to run, thanks to its SKYACTIV technology which reduces weight and increases engine efficiency. 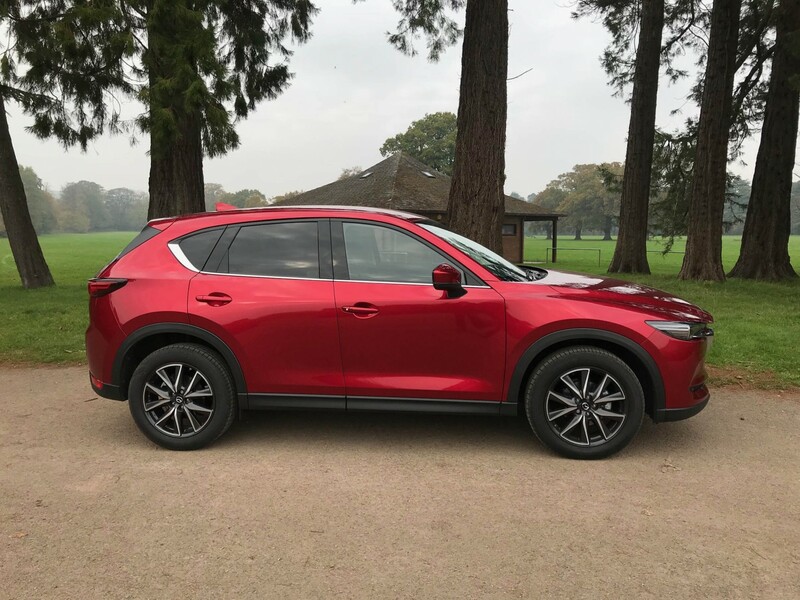 All models are well equipped, with entry level model featuring electric windows and door mirrors, alloy wheels, cruise and climate control and radio/CD player. 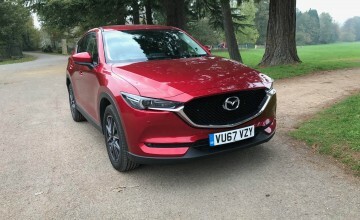 It looks like it has offroad capability, but the four-wheel drive version is more of a 'softroader', unlikely to spend much time in the rough stuff. 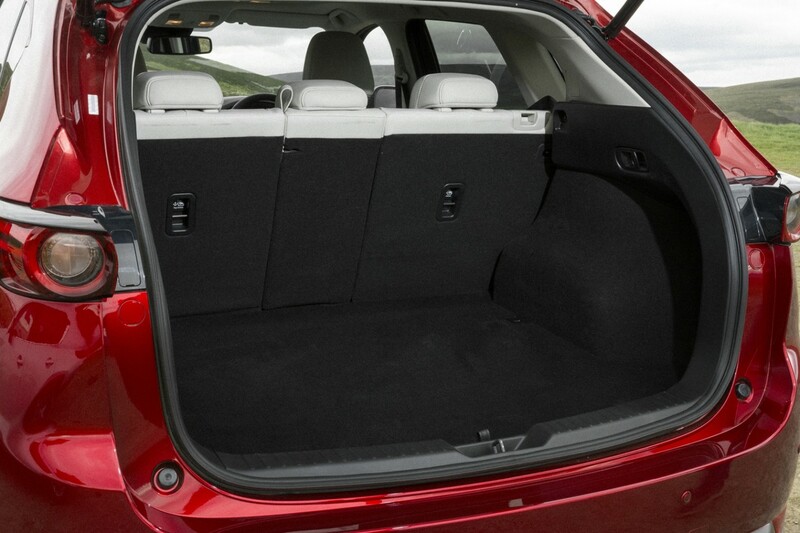 It seats four in comfort with a fifth in reasonable comfort with good head and legroom. 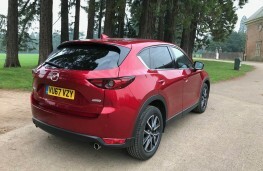 Crossovers need to be practical and the Mazda delivers with it s so-called Karakuri system. One touch to a remote lever in the luggage area or seat-top buttons allows 40:20:40 split folding. 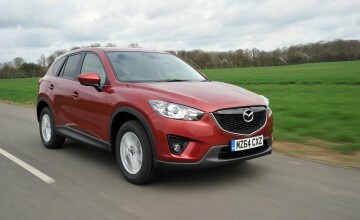 Performance from the two litre petrol engine is impressive and economical. It can hit 60mph in around 10 seconds and has plenty of torque for motorway overtaking. The six-speed manual box is a slick shifter and adds to the driving experience. For a vehicle which sits higher off the road, handling is sharp and agile aided by the firm's G-Vectoring system, which, when cornering, on initial turn-in and throughout, the system adjusts power delivery and shifts vehicle weight for a more relaxing drive. Thesteering is also direct and responsive. The 165ps engine has claimed economy of 47.1 mpg and CO2 emissions below 149g/km. 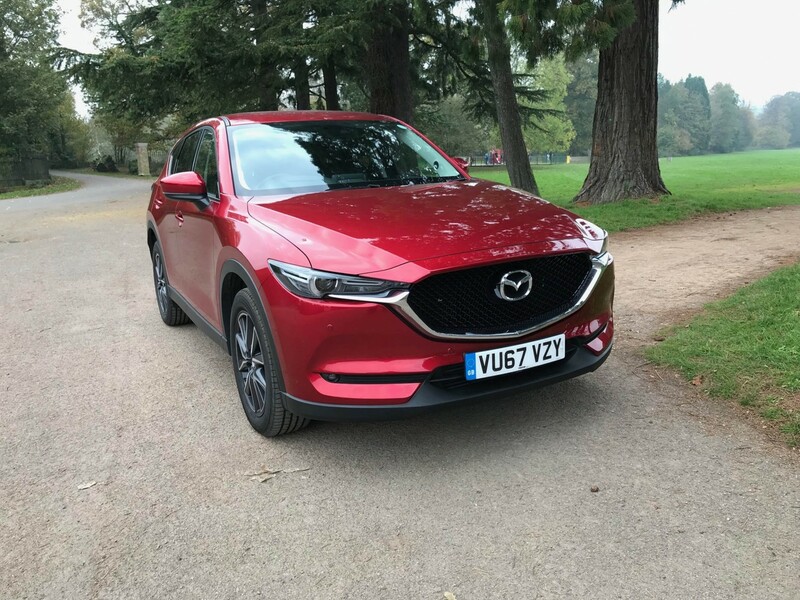 All Mazdas are safe and this model features the reversing camera, all round airbags, traction control and hill hold and lane departure warning.